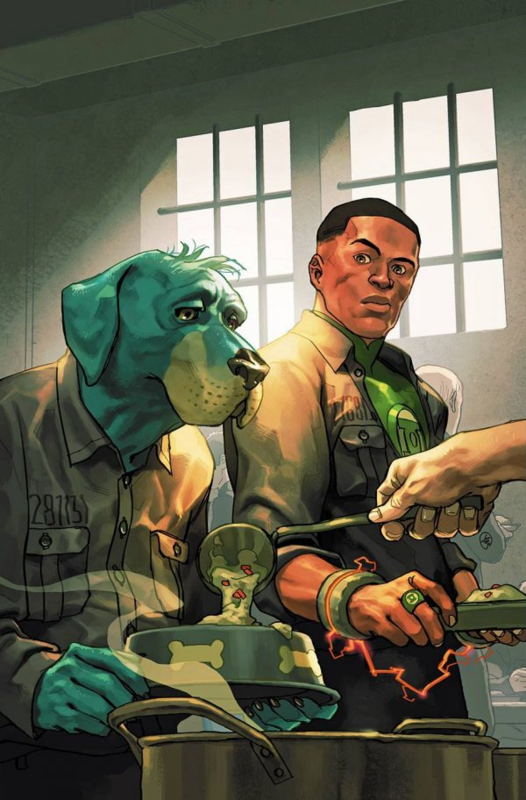 Set against the turbulent backdrop of the early 1970s, Green Lantern and Huckleberry Hound join forces to take a stand on the issues of that era. Returning from recent duty in Vietnam, veteran Marine John Stewart—now a member of the Green Lantern Corps—contemplates what, if anything, he should do about the issues tearing his country apart. Meanwhile, Huckleberry’s comments against the Vietnam war have left him a celebrity outcast, and a visit back home to Mississippi puts him face to face with the Civil Rights Movement. What can one man—and one hound—do? Benny Snell of Lexington--you have the ability to instill great hope. You belong to Big Blue Nation. This might be an interesting throwback to the GL/GA era....if it didn't have Huckleberry Hound. I just don't get the point of including Hanna-Barbera characters that are so drastically "reinvented" that they are essentially unrecognizable. Ditto. 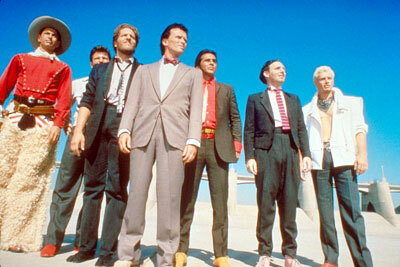 I love militant John, but Huckleberry was never one of my favorite HB characters and that isn't even him anyway. That is a great cover! What the (BLEEP!) is going on with John's head on this cover? It looks like it's made of melting clay. Cool to see that old Green Lantern logo on the cover. It is better than anything that has been used in decades, in my opinion. 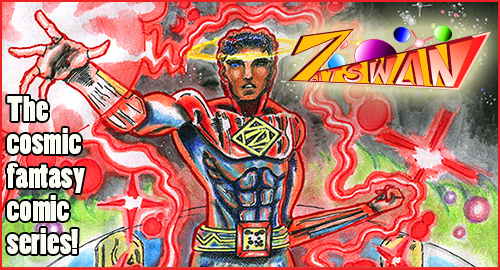 ZATSWAN.COM Zatswan: Multiversal Guardian, the brand new cosmic comic book, now available! So, I liked the issue overall, though not being an HH fan. The race riot and tension seemed more appropriate for '67 than '72, but then it's not like things were great in '72 either, so that's not biggie. I liked how this was part of John's training. And it makes sense Katma would be sensitive to knowing when to do the moral thing. I may pick this up just to see John and Katma interacting again. I can't quite figure out if she is even part of John's past in official continuity nowadays. It's kind of worth it just for that especially since the angle is John learning something from her.